So you’re thinking of making your Austin home bigger. Hey, everything’s bigger in Texas, right? Maybe you’ve always wanted an office so that you can work from home. Or maybe you’ve been wanting to add a media room to enhance your movie-watching experience. How about a sunroom to get some natural lighting, or an extra bedroom or two so that you can house your parents that are visiting from the Northeast? There are different types of home additions, including bump out home additions and space conversion home additions. Bump out home additions are the most popular because they are fast, effective, and the advantages are immediately apparent. For those wanting to add a dining and seating area to their kitchen, but don’t have the space in the existing floor plan to do so, a bump out addition would be called for. Space conversion home additions are just as they sound. Homeowners who have the space they need but just aren’t using it efficiently or how they would like to be may want to consider this type of addition. Examples would include converting the basement into a game room or converting the attic into a spare bedroom. 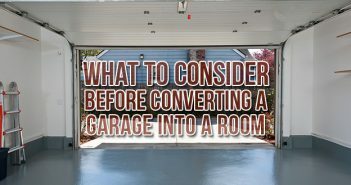 Whatever room addition you’re looking to tackle, keep these tips in mind. Much like with any major decision, you’ll want to explore your options. Ask yourself these five questions: What addition do I want to make? How will this addition tie into the overall look of my home? Are there any zoning restrictions to consider? Will the addition add any value? How much is the addition going to cost? Cost, after all, is important because home additions are not cheap. How much do they cost? Well, that depends on the project. Is this a bathroom addition or a master bedroom addition. Pictured are some average project costs for the most common home addition jobs in Austin. When homeowners want to add a room, they tend to look at the big picture and only focus on the finished product. 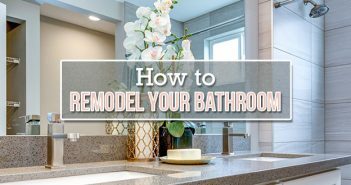 While it’s okay to get excited and visualize what your home will look like with a new bathroom or a new spare bedroom, it’s important to keep the inconveniences in mind. If you plan on expanding your kitchen, for example, consider how you’re going to prepare your meals. Will you be eating out more or ordering takeout? If you’re adding to your master bedroom, will you be sleeping on the couch in the family room? Speaking of the family room, if you’re planning an addition there, where will you watch TV or entertain guests? If you have a dog, will you have to put them in a kennel so that they’re not around all the construction and noise? 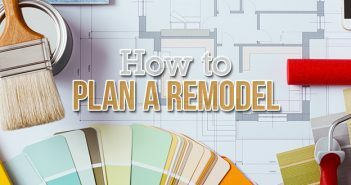 Whatever the case may be, prepare to make some adjustments in order to accommodate your home addition(s). Austin is the 11th biggest city in the country, and that presents a lot of opportunities to hire experienced general contractors. Picking the right one, however, is as big a challenge as the home addition itself. In actuality, the success of the job relies heavily on the team you hire for the job. According to HGTV’s planning guide to home additions, there are six tips for picking a construction manager and crew for your home addition project. Each contractor will have a different approach on how to expand your home. See if their vision matches with your vision, and don’t be afraid to ask questions, it’s what they’re there for. Ask them questions about where they envision a particular addition and how it will fit with the overall theme of the house.